This purchase is for a Developer license, allowing you to make use of the Game Master’s Campaign artwork for commercial purposes: creating games, using the art for interior illustrations, book covers and more. 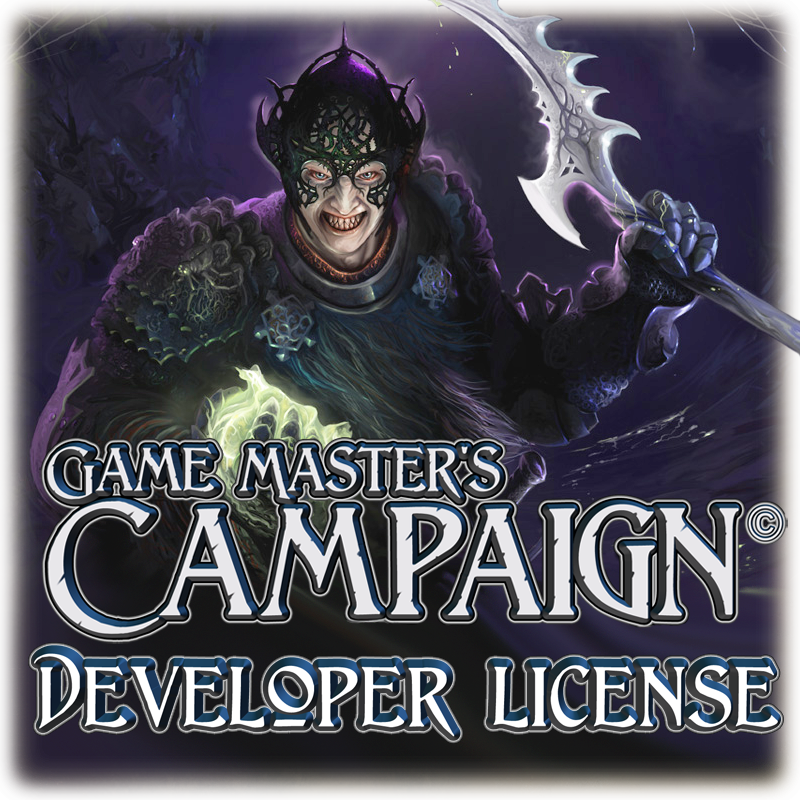 The developer license also gives you a free copy of the base Fantasy art kit and Minimap addon art kit. If you already own a copy of the base Fantasy art kit and wish to upgrade to a Developer license, please contact me for details. Once a Developer license is purchased, you will receive a custom token as a Developer proof, this can be displayed with your product if you choose to do so. You may purchase any or all additional art kits and use those under this license as well.